AXA have taken account of both the new AirBricks and work recently undertaken on our local river by the Environmental Agency. I am delighted to have escaped the insurance flooding post code lottery and thought you would like like to know the product played a part in this. Flood due to drainage not coping and brook that runs open along the back of the garden into a pipe further down the road. This belongs to the council. Council promised to clear after the previous flood. Unclear to date due to lack of funding. Home furnishings that were left from the original flood and not in storage were now lost. Gradually the house dried out. Given a certificate to say it was dry. Replace plaster to 1 meter, electrics, paint and fit new toilet. Work carried out well, taking two weeks. Mr X was frightened to go to bed at night just in case. 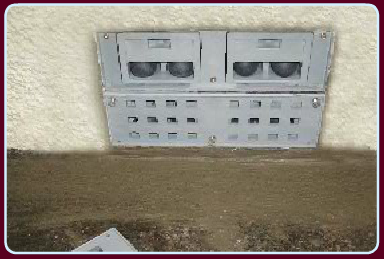 Each evening he would move all his belongings upstairs or seal them in plastic boxes. 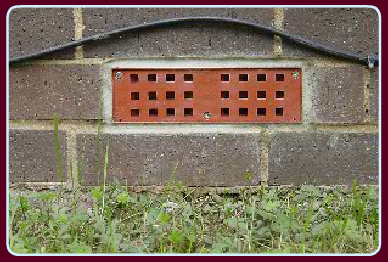 SMART AirBrick® fitted in August 2008 once the house was put back together. Flood again 4th September 2008. Front water pool over the air bricks and up the front step. Water flowed around house and down the drain. The property was not flooded. The water did not go through the AirBricks. Mr X contacted Eco Coverage to let us know of his success. Due to his circumstances Mr X feels much happier knowing that the SMART AirBrick® are fitted and that the property will not flood. He is able to sleep at night without worrying. Cost of repair post initial floods – £14,200 excluding house content claim. Repair cost post initial flood – £33,000+ including the kitchen. Sorry it has taken so long to respond. Have just fitted the second AirBricks and herewith some pics which you may be able to use. The installation again went very smoothly and I am very pleased with the results, and the knowledge that another flood defense is in place.